Some styles in the market always outlast others. 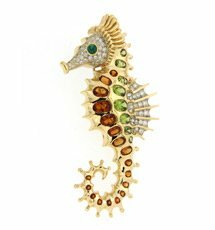 This year, yellow gold jewelry ushers to the galleries three styles that are going to stay on the top tiers for a pretty long time. These styles were announced late last year and as a new year commences, these designs get carried along with a few others as the bests from the past. They mark the return of yellow gold this year. So, if you haven’t seen many yellow gold solitaires in the diamond section last year, this is the year for it. Let’s take at the three styles that are leading the trends. Channel Set Style: Channel settings are not new to diamond rings, but this style is the first of its kind. Set with six diamonds on each side in a channel seat, the shoulders of these rings end angularly to meet the center stone which, unlike most designs is fitted in a four prong setting. This one may not be your traditional yellow gold solitaire, but it definitely has a modern edge that outdoes most traditional pieces by a good measure. Twisted Band Style: Last year saw a whole lot of twisted band rings, but even so, this style is a standout. 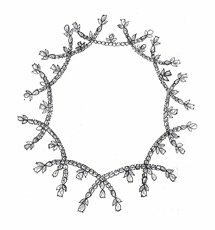 The shoulders of this band rise up and drop down opposite directions to contour a rock size diamond at the center. The twisting of the band creates an oyster-like shape while the diamond at the center mimics a pearl. 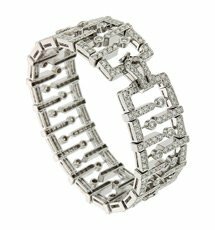 The band is set with baguette diamonds at the front that creates a greater sparkling effect. Although there isn’t much design in the ring, the yellow gold band strikes out by its substantive mass. 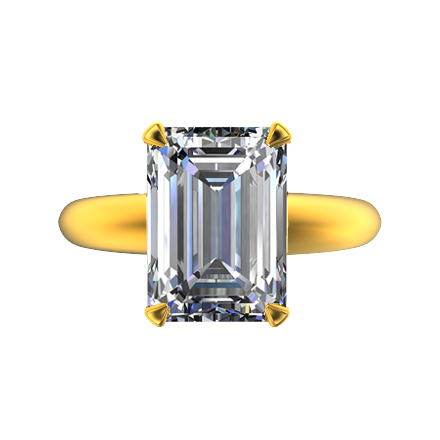 Traditional Emerald Cut Solitaire: If you are looking for something that is light but elegant, then this traditional style is the best fitting. Curved out of yellow gold, this one features a large emerald-cut stone at the center set in a four-prong setting. The band is as plain as it gets, and that is intently done to let the stone enjoy all of the highlight. As for the expense involved, the price of this style doesn’t have to be predatory. 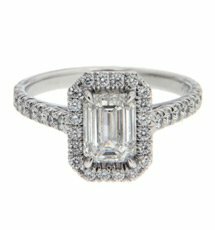 To squeeze the price flat, an emerald cut has been chosen to decorate this piece. Emerald cuts like all elongated cuts have the advantage of size. So, even a small stone can suffice for this style.